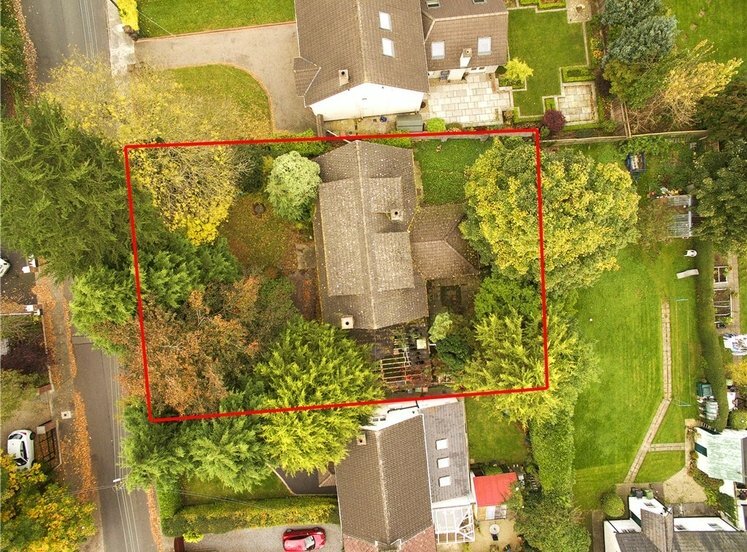 5 Carpenterstown Road is a four bedroomed detached bungalow with a private South West facing garden. 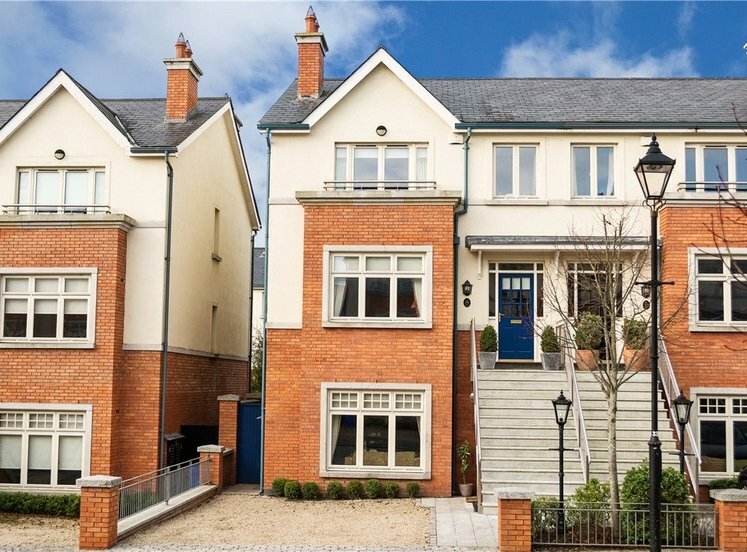 It has ample parking to front, situated in a semi – rural location adjacent to Castleknock village with attractive brick finish façade. 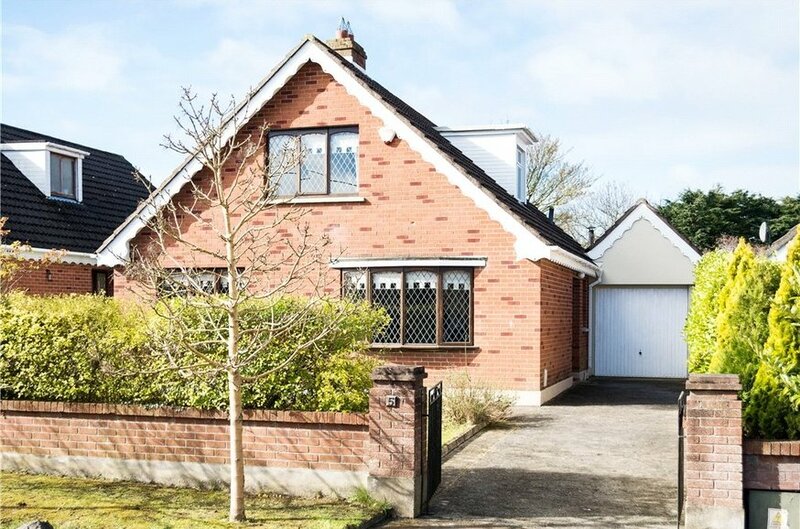 No 5 Carpenterstown Road is situated in the catchment area of all the Castleknock schools. 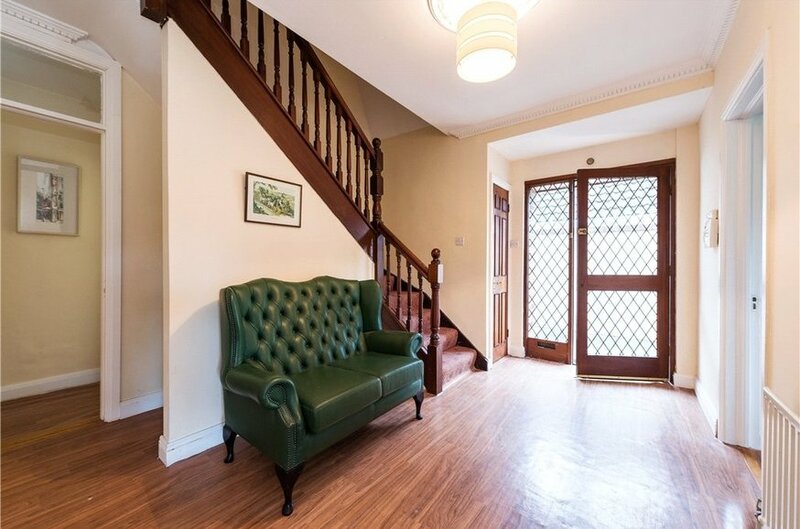 The property comprises of a large entrance hallway with guest WC off which is the principle living room and dining room both overlooking the front of the property. 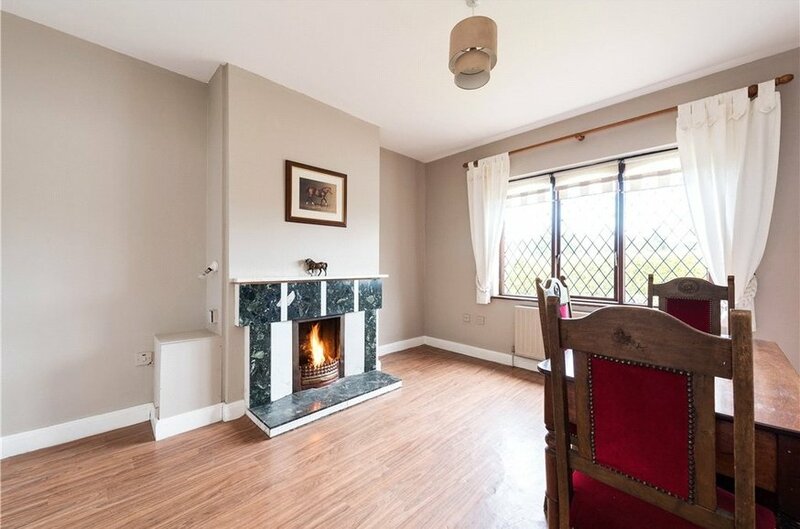 They both offer open fireplaces, cornicing and central rose. Off the dining room is the well-stocked kitchen area with an abundance of floor and wall mounted presses, with a bowl and a half stainless steel sink unit and access to the rear garden. 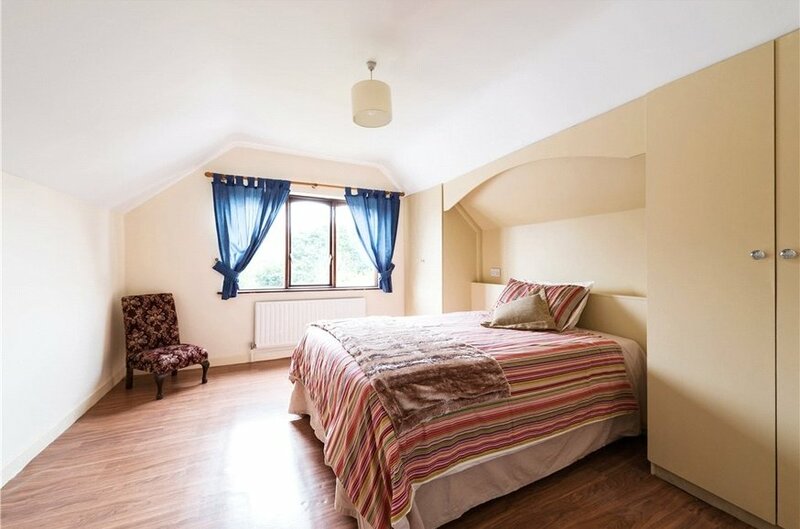 To the rear of the property on ground floor level are two of the bedrooms both of which are double rooms overlooking the lovely gardens to the rear and share a Jack & Jill bathroom with WC and shower. On the first floor is the master bedroom with dormer window overlooking the rear gardens, the main family bathroom complete with new sanitary ware and dormer window overlooking the side and the fourth and final bedroom is also located on this level which is a large single room overlooking the front garden of the house. 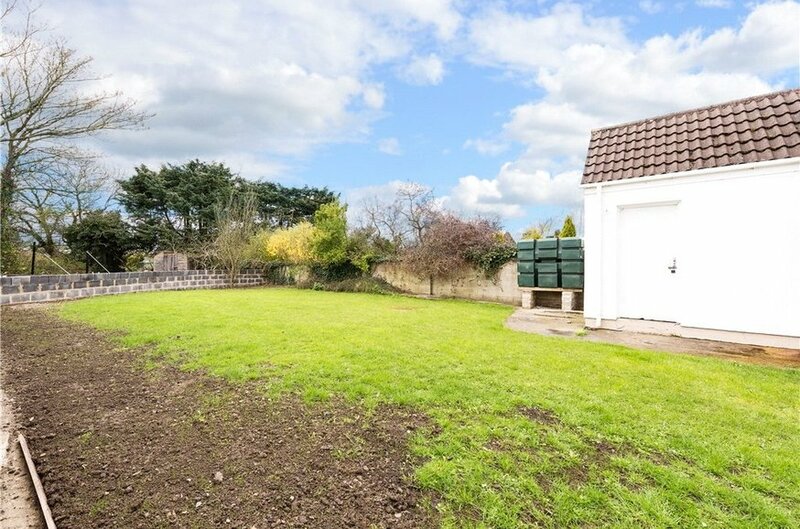 The property has a wonderfully private south west facing rear garden with plenty of outdoor storage space with a car garage at the side of the house accessible from the front driveway and a boiler house to the rear which houses the oil fired central heating unit. 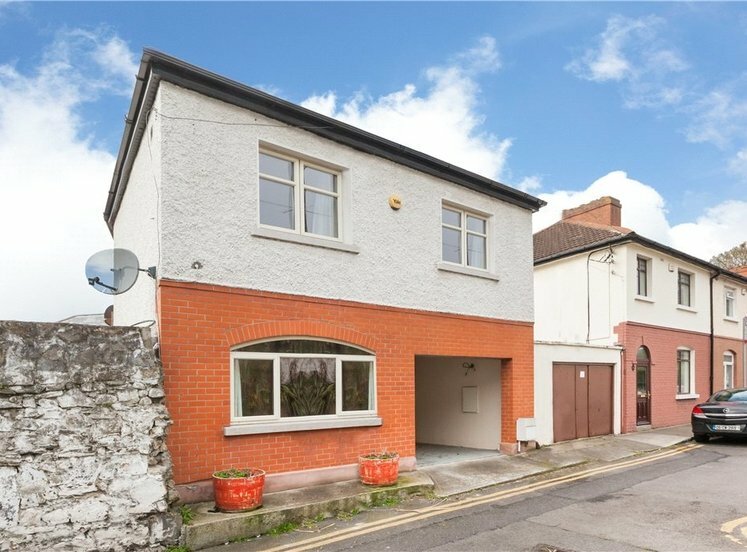 Access to this property is excellent, being located at the Castleknock end of the Carpenterstown Road with Castleknock village less than a five minute drive away with the whole range of shops and local amenities on your door step. 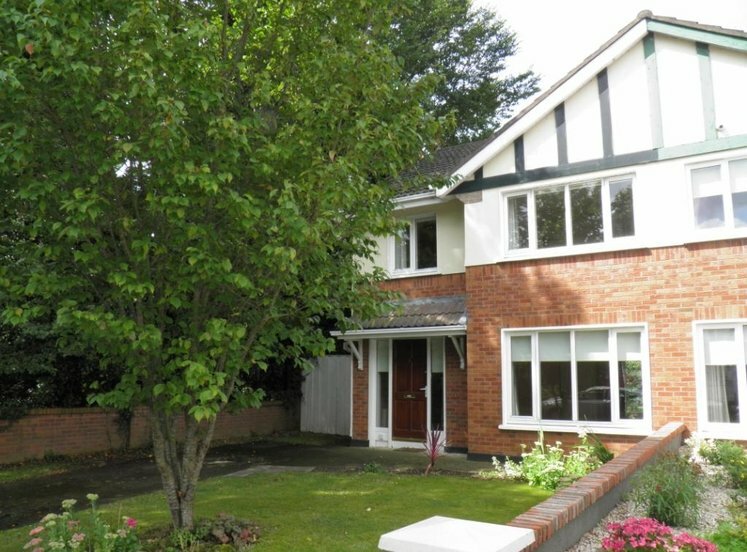 The property is also located very close to the Castleknock Country Club and Hotel. The M50 motorway which provides ease of access throughout the greater Dublin area is also nearby. laminate floors, stairs to first floor and doors to all rooms. 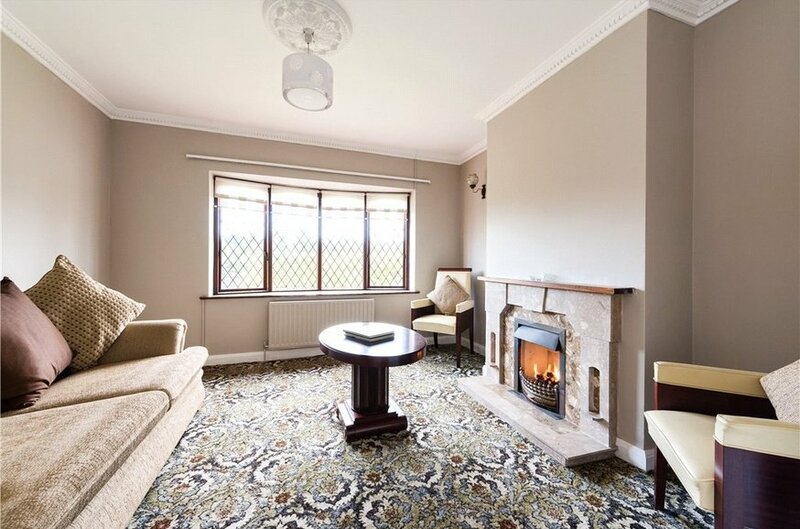 carpet floors, open fireplace, cornicing, centre rose and a bay window to front, fireplace is marble with a timber mantle. laminate covered floors, open fireplace is marble, window overlooking the front, door to kitchen. 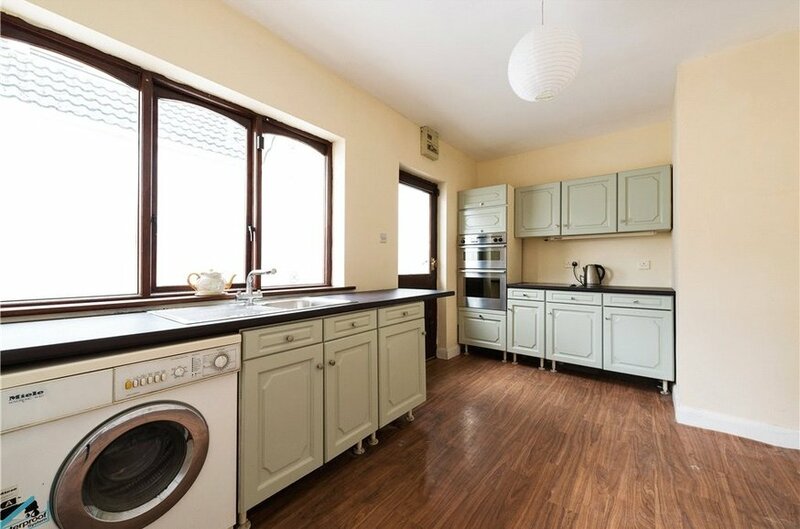 laminate covered floor, full range of floor and wall mounted presses, bowl and half stainless steel sink unit, plumbed for washing machine, door to rear garden, 4 ring electric hob and dual oven. 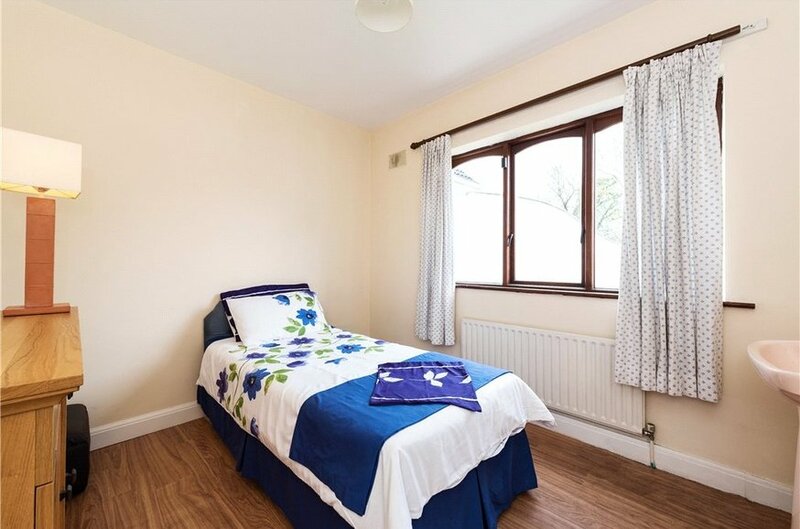 Gives access to the first two bedrooms. 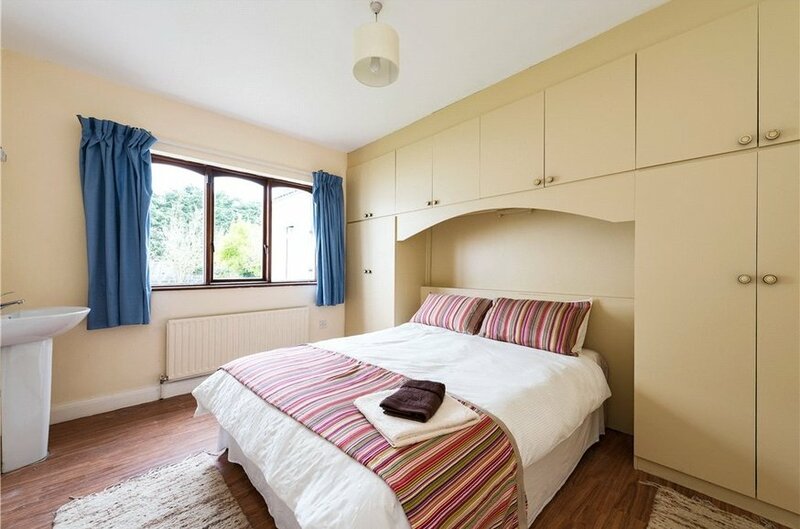 built in wardrobes, laminate floor, WHB, window overlooking the rear garden and access to a "Jack & Jill " bathroom. WC and shower, frosted window overlooking the rear. WHB, window overlooking the rear, laminate floors. Carpet floors and built in storage areas. 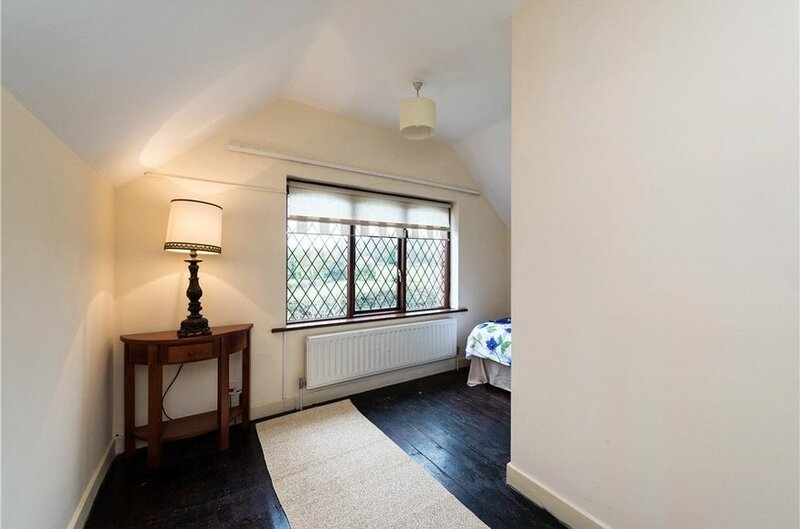 Overlooks the rear garden, built in wardrobes, laminate floors. 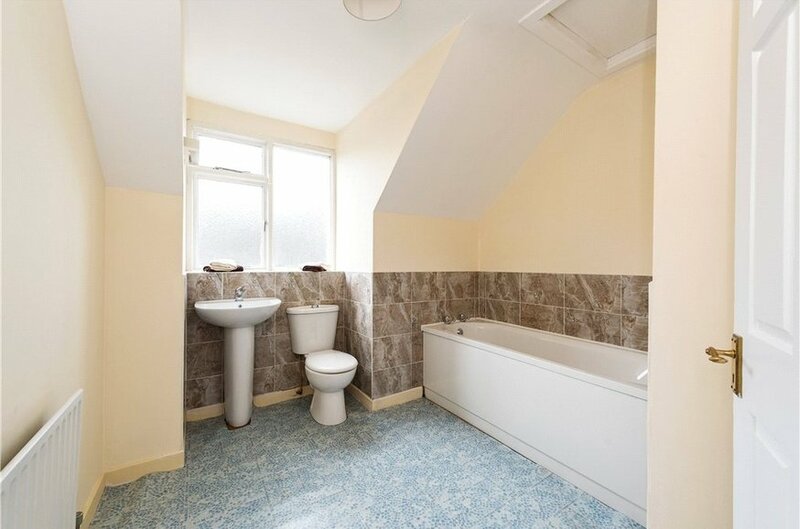 laminate floors, WC, WHB and a bath, overlooks the side of the house through a dormer window. 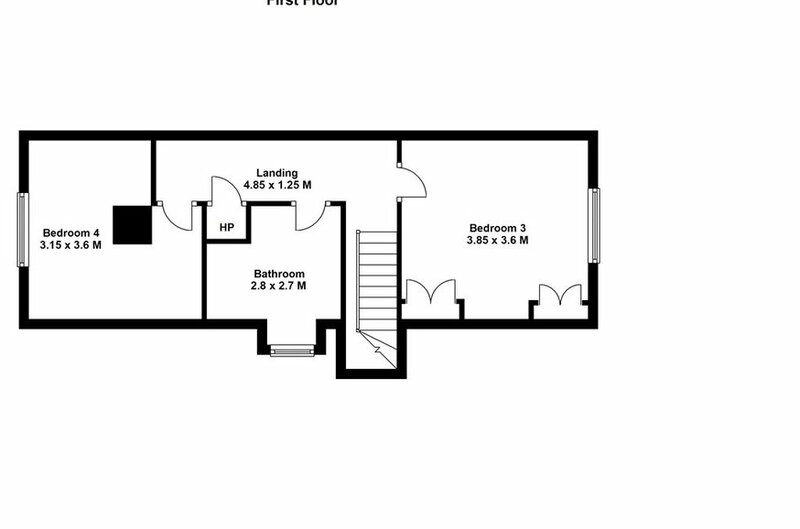 to the front of the property, single room. Car garage with Henderson up and over door, concrete floors and tiled roof with lighting and power points. to the rear of the house, oil burner, pitched tiled roof, concrete floors. concrete driveway up to the front, garden is laid out in lawn, large hedge on the front of the house. Garage: 4.85m x 2.40m (15'11" x 7'10") Car garage with Henderson up and over door, concrete floors and tiled roof with lighting and power points. Boiler House: 2.75m x 2.45m (9' x 8') to the rear of the house, oil burner, pitched tiled roof, concrete floors. Front Garden: 7.10m x 11.0m (23'4" x 36'1") concrete driveway up to the front, garden is laid out in lawn, large hedge on the front of the house. 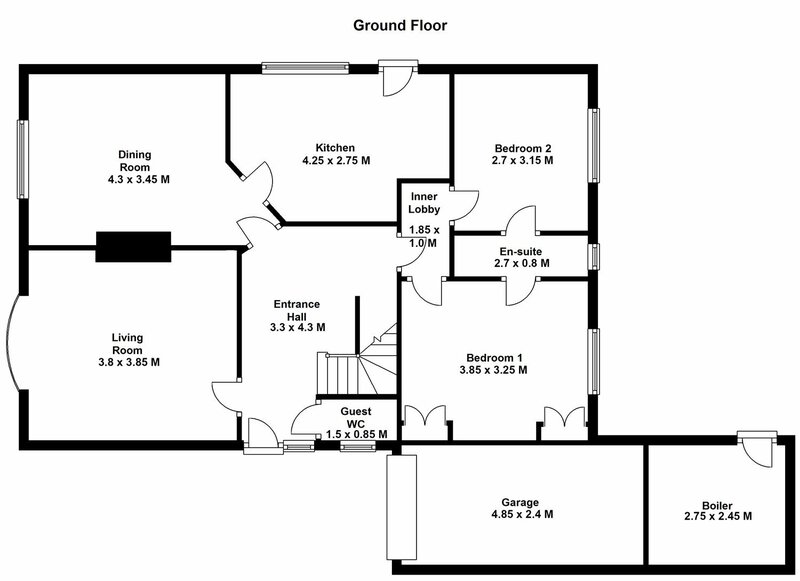 Rear Garden: 17.5m x 10.5m (57'5" x 34'5") with South West orientation.